As of Version 12, ErrorListPlot has been superseded by ListPlot. 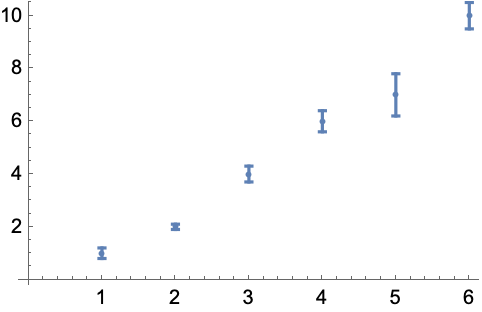 plots points corresponding to a list of values y1,y2,…, with corresponding error bars. The errors have magnitudes dy1,dy2,…. 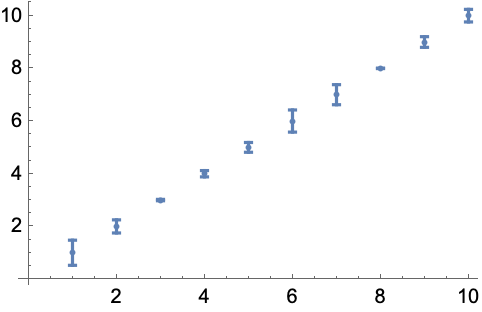 plots points with specified x and y coordinates and error magnitudes. 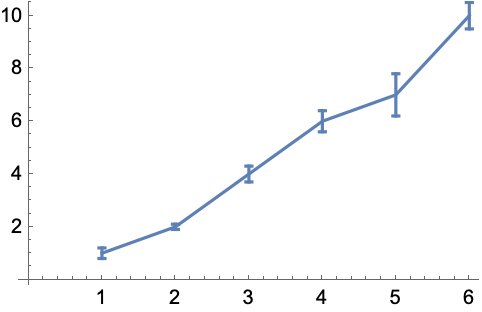 To use ErrorListPlot, you first need to load the ErrorBar Plotting Package using Needs["ErrorBarPlots`"].